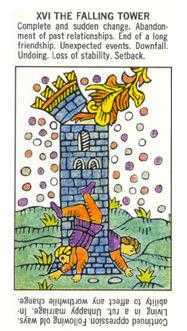 Because of circumstances beyond your control, you have no choice. 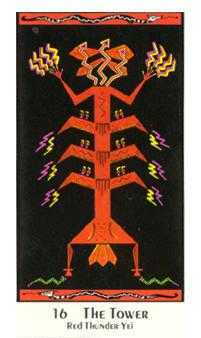 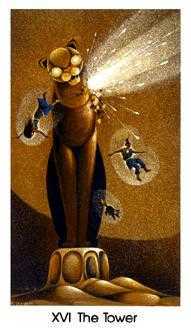 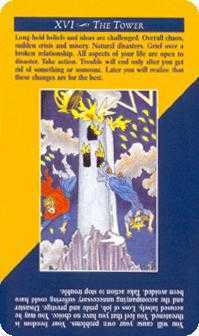 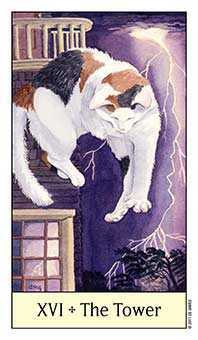 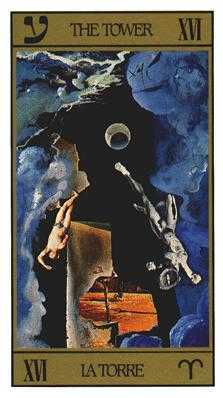 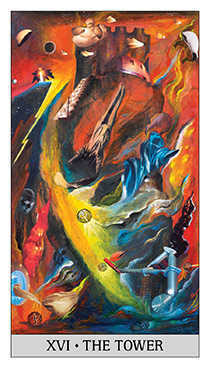 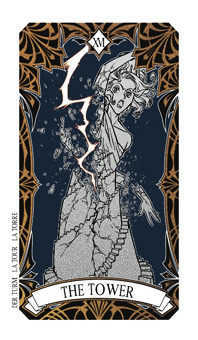 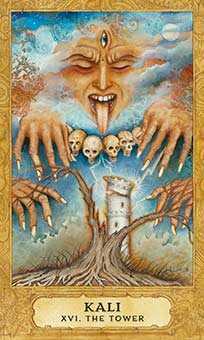 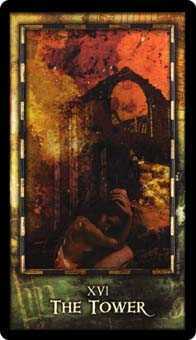 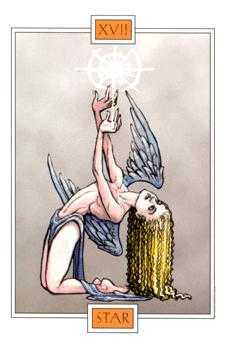 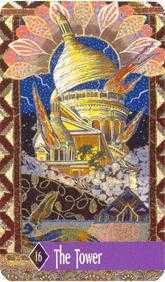 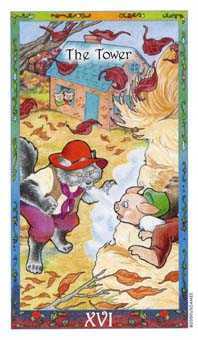 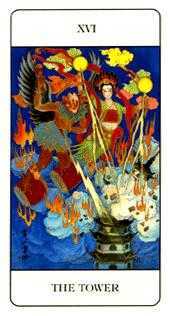 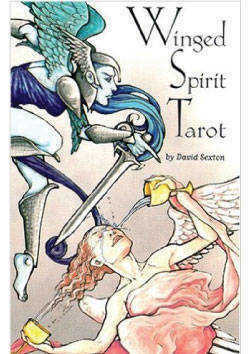 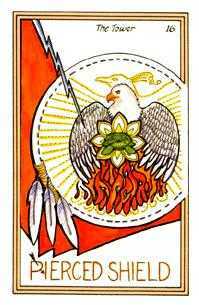 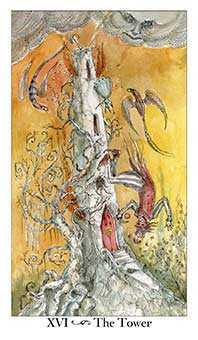 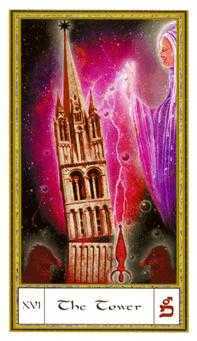 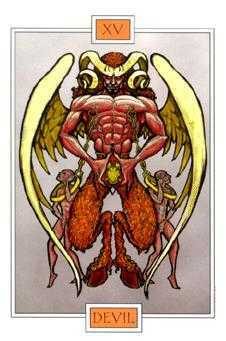 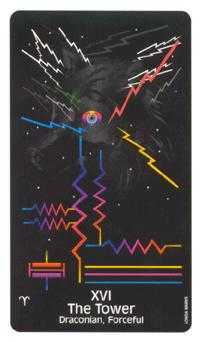 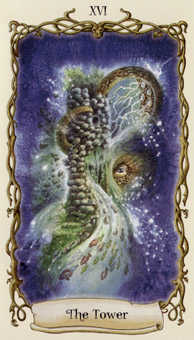 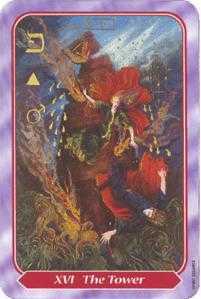 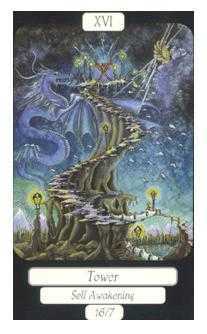 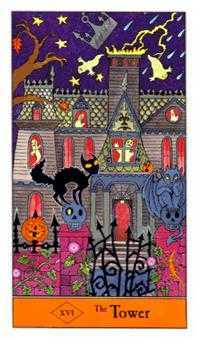 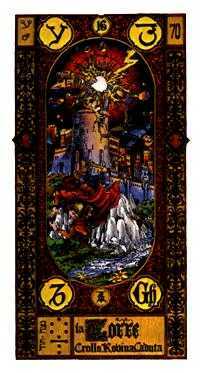 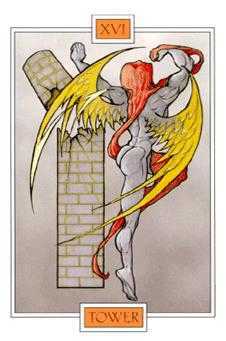 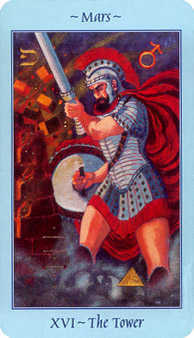 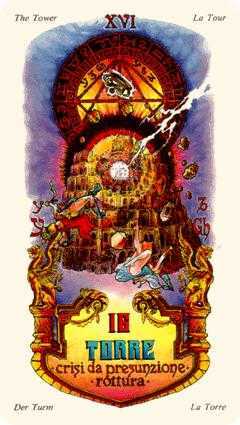 Winged Spirit Tarot deck © U.S. Games Systems, Inc. 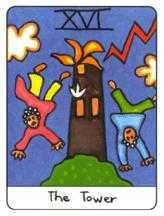 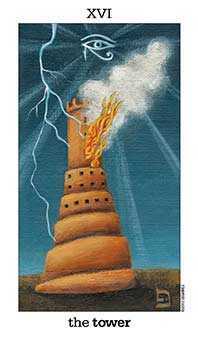 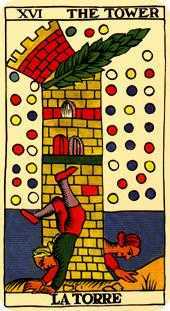 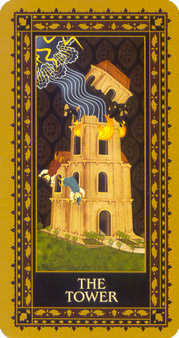 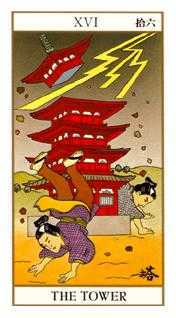 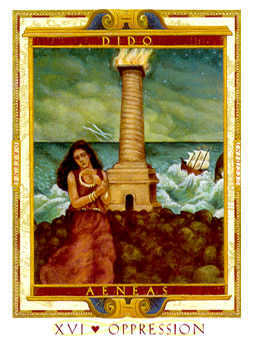 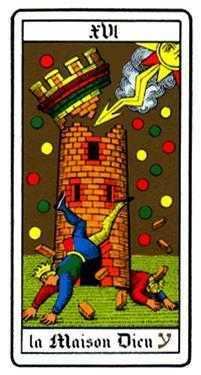 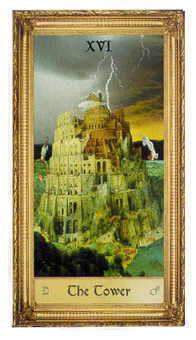 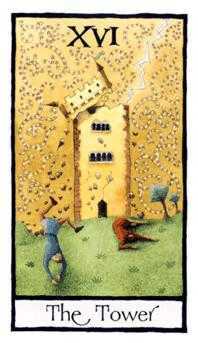 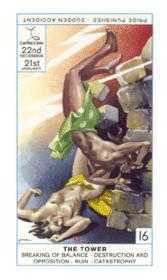 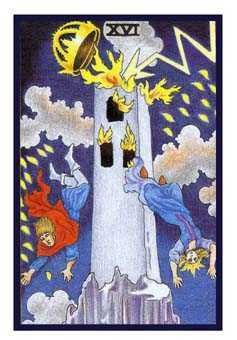 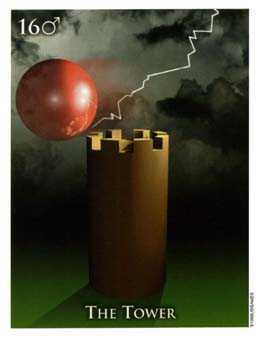 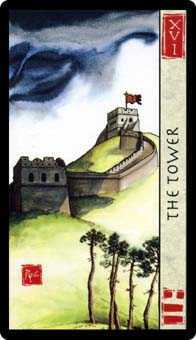 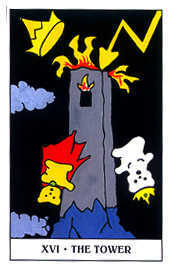 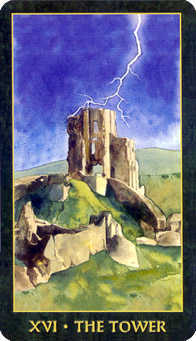 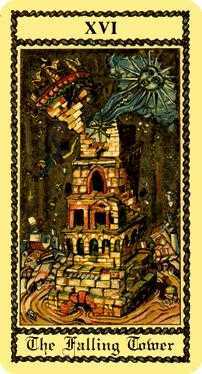 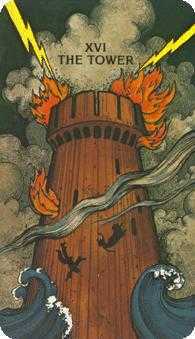 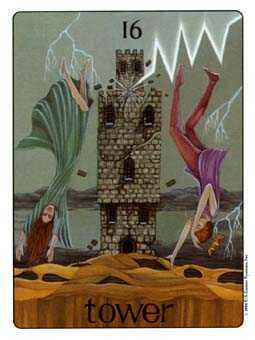 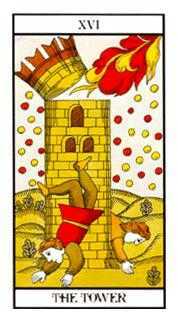 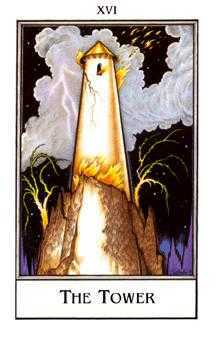 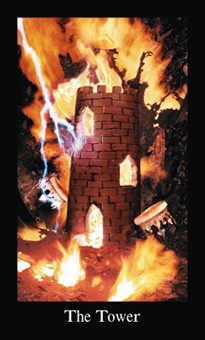 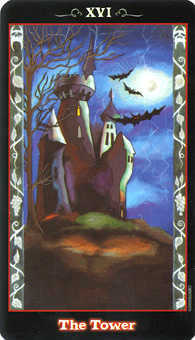 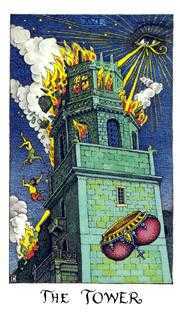 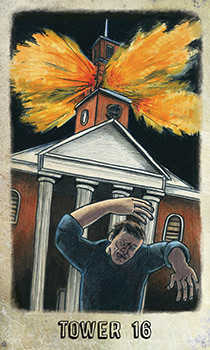 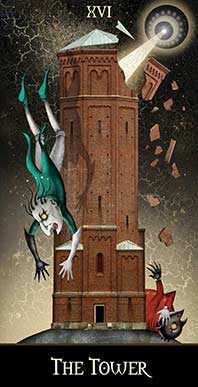 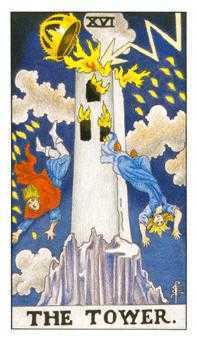 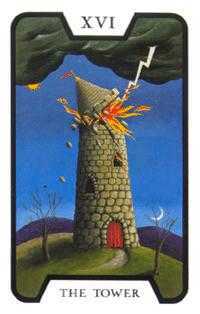 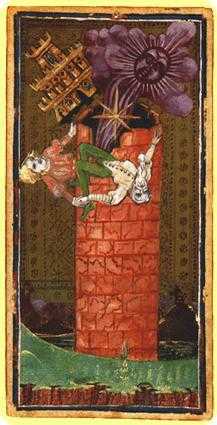 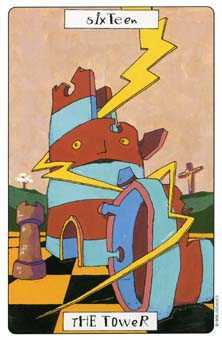 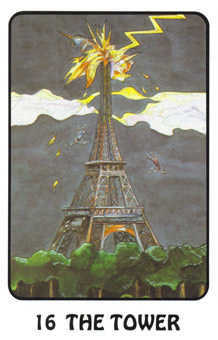 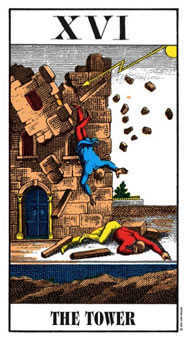 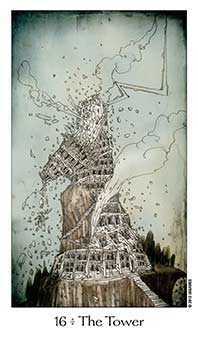 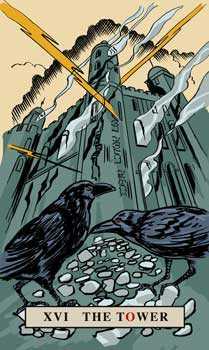 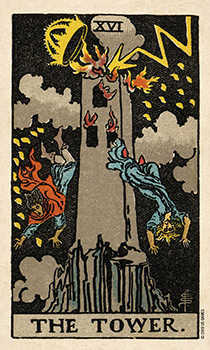 In practically all renditions of the Tower card, disaster is striking or has just struck. 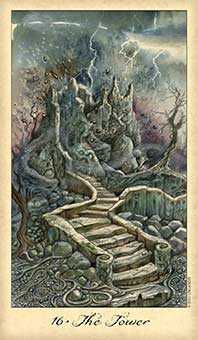 The demons of madness and despair are released from ancient hiding places, and nature conspires with human failings to destabilize a society. 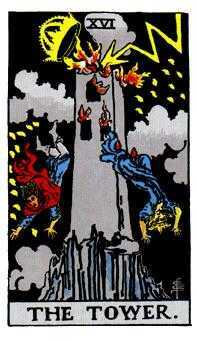 The upheaval is collective and impersonal. 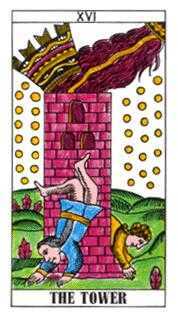 Let us remember these images were created for the educated nobles and clergy -- reminding them that they have the most to lose if the hierarchy is toppled. 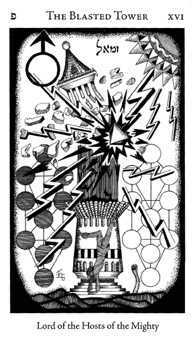 Lightning is a fitting karmic payback for the guilt of those whose fortunes come from the exploitation or abuse of others. 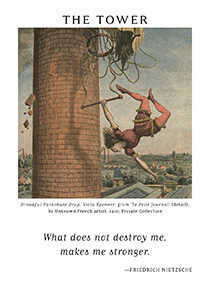 A modern subtitle might be "revolution," indicating that through drastic social change, oppressed people can find renewed hope of better times. 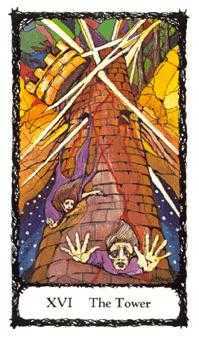 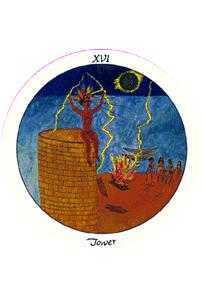 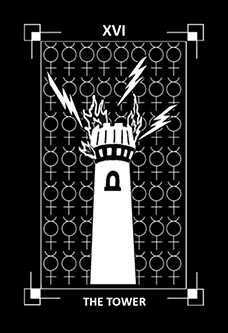 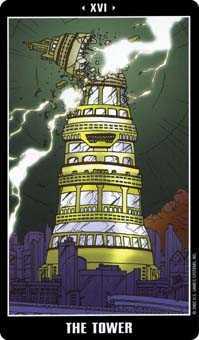 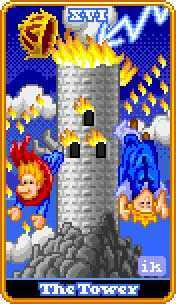 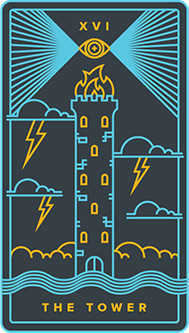 The Tower experience comes like a flash of lightning to topple the hierarchy of the old order, after which everyone can have a fresh start on a more equal footing. 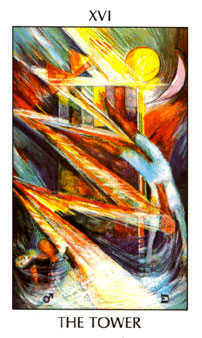 You are the one to serve as a catalyst for change. 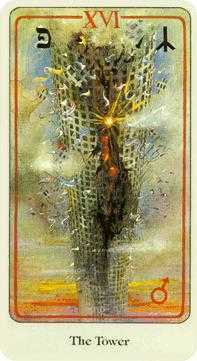 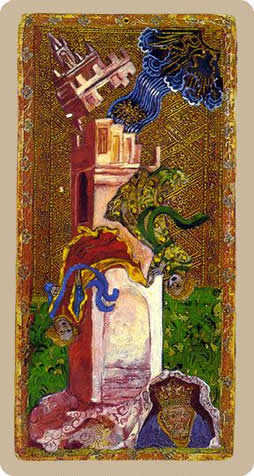 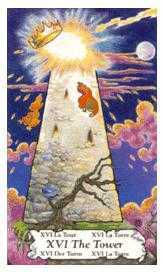 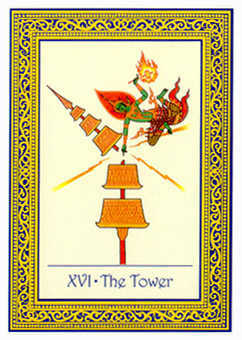 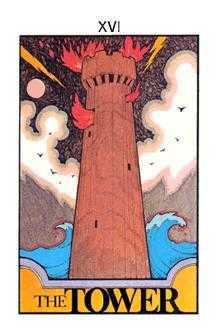 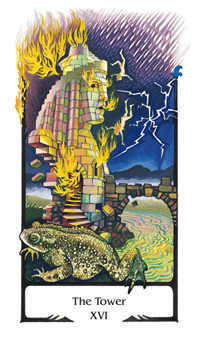 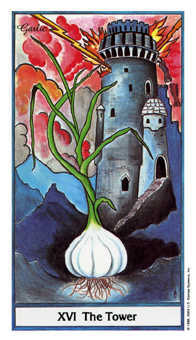 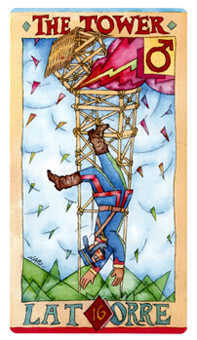 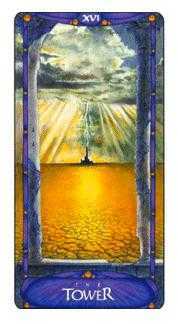 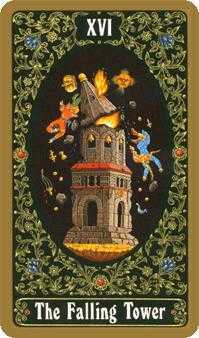 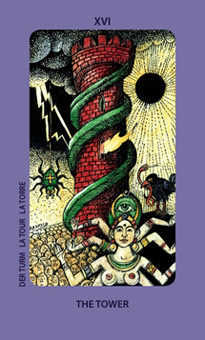 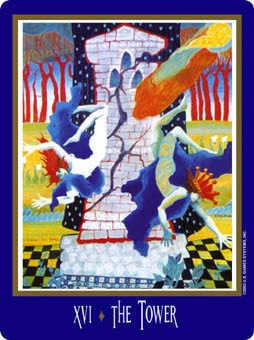 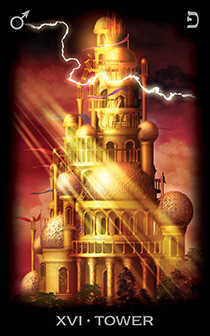 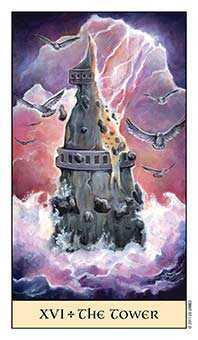 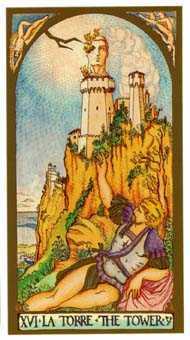 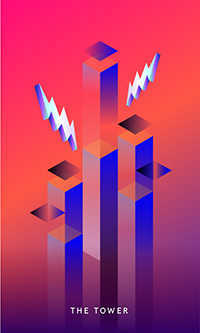 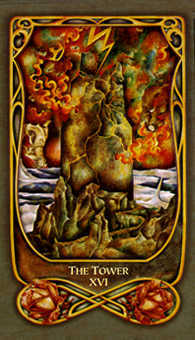 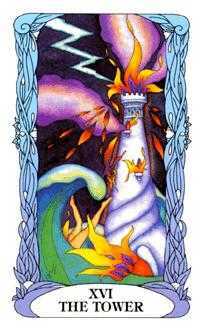 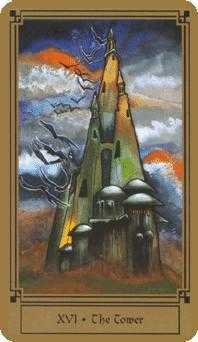 With the Tower card, think of yourself as an agent of transformation. 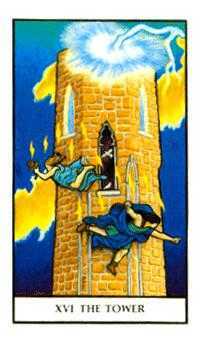 This self-sacrificing role is likely to create stressful situations. 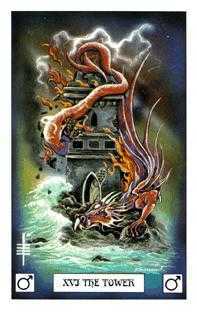 Your vision shows you that a radical change has already been unleashed by forces much larger than mere mortals, and therefore you are no longer resisting. 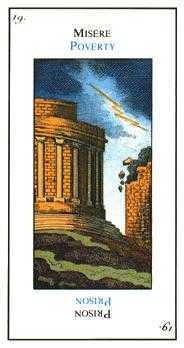 Now you may be at the forefront, acknowledging and accepting the bracing presence of the future bursting in on the present. 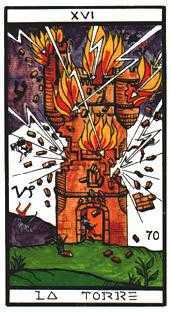 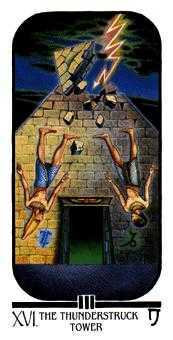 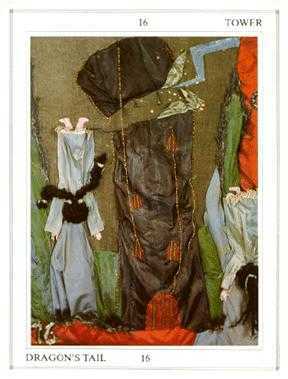 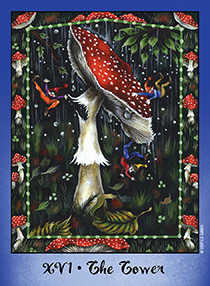 Try to mediate the harsher parts of the changes as they unfold, so the most vulnerable are the most cushioned. 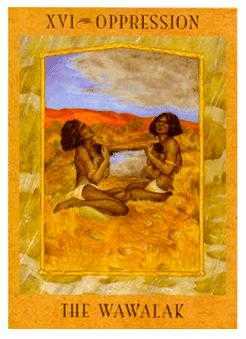 Acknowledge yourself, as well as the others in your life, who are offering their resources to usher in a better future.